Home › Food › Happy Thanksgiving, and has anyone seen little Charles? Happy Thanksgiving, and has anyone seen little Charles? I just think wearing a turkey costume in a field is not the wisest move. 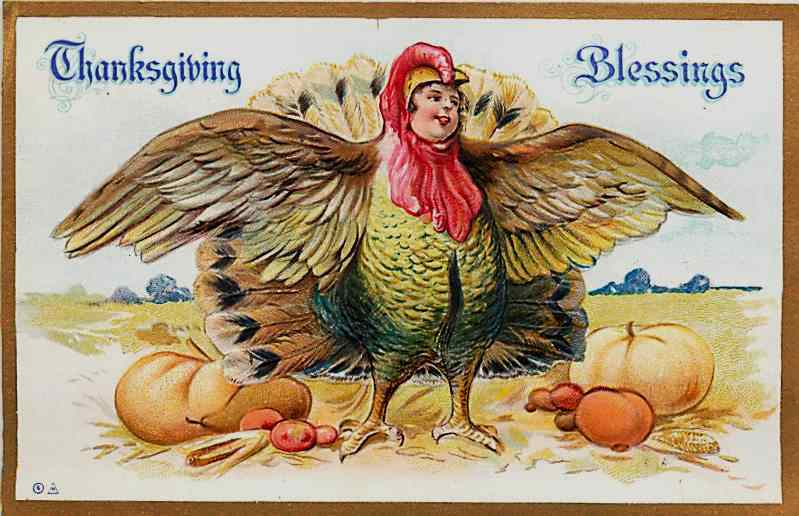 Enjoy this vintage card, and your family, this Thanksgiving!